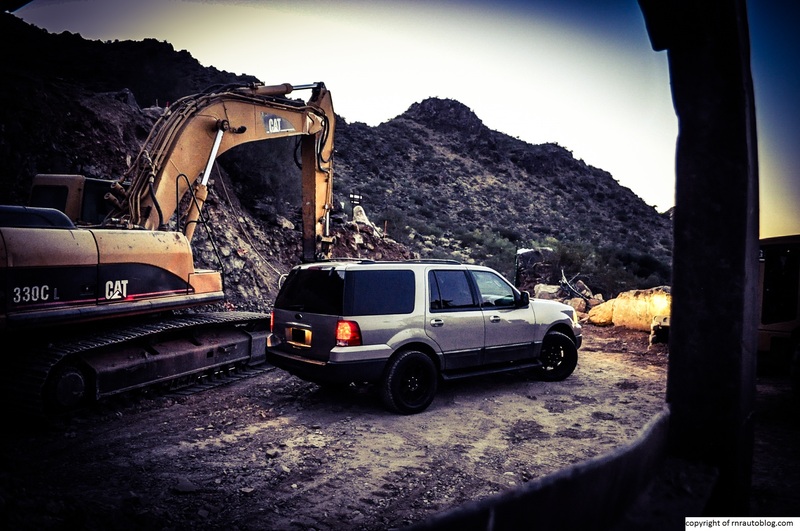 In the 1990s, the “SUV boom” was taking place. All of sudden, people started gravitating away from minivans and station wagons to SUVs for their family vehicle. 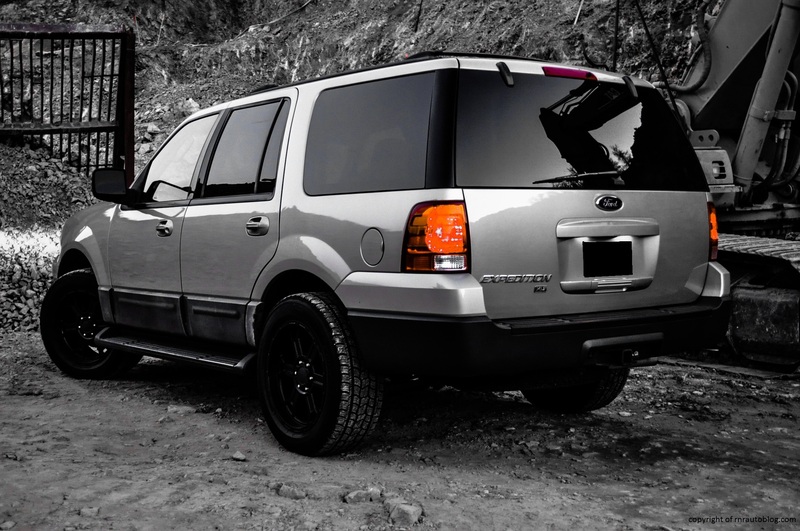 Ford was one of the manufacturers that took advantage of this trend with their midsize Explorer SUV. 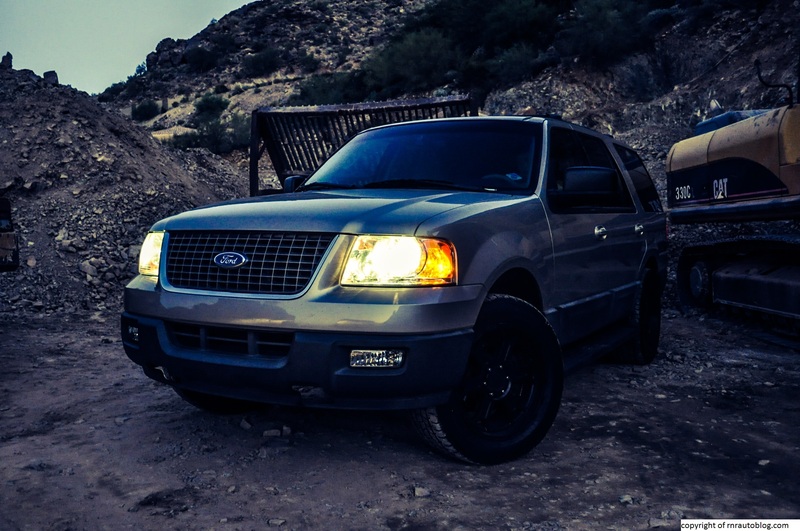 It was wildly successful as Ford sold over 400,000 Explorers in 1996. However, people looking for bigger SUVs flocked to the Chevrolet Tahoes and Surburbans and their GMC twins. Ford then saw another opportunity for another SUV, one that would be more expensive and bigger than the Explorer. 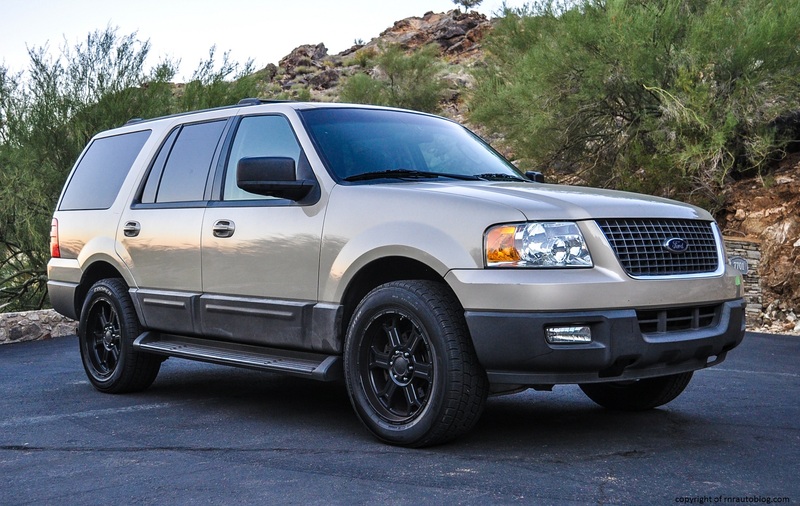 Heavily based off the Ford F-150, the Expedition came to fruition in 1996 as a 1997 model. 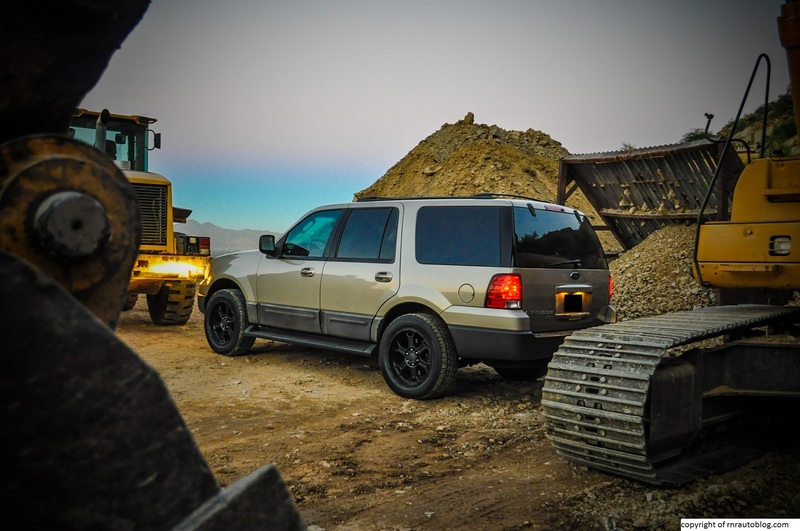 The Expedition came with third row seating and several features that were not available on the Explorer, as well as more powerful engines for maximum towing capability. 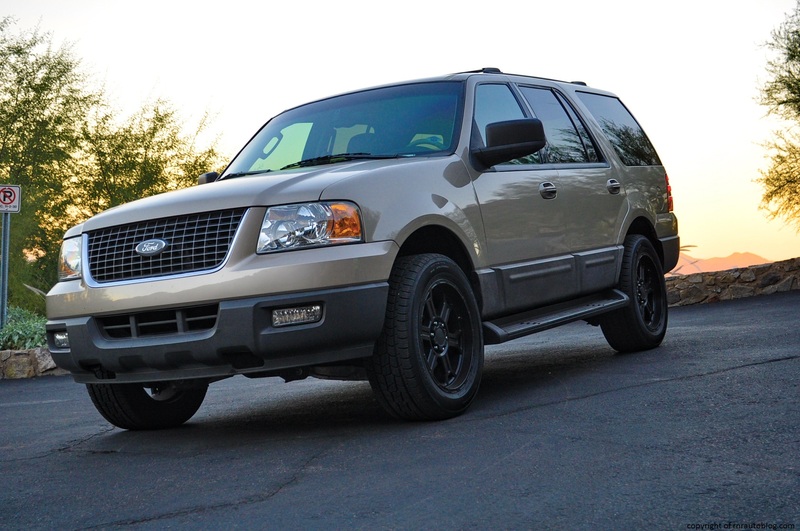 The Expedition found many customers, as it was sized between a Tahoe and Surburban yet was as affordable as a Tahoe. 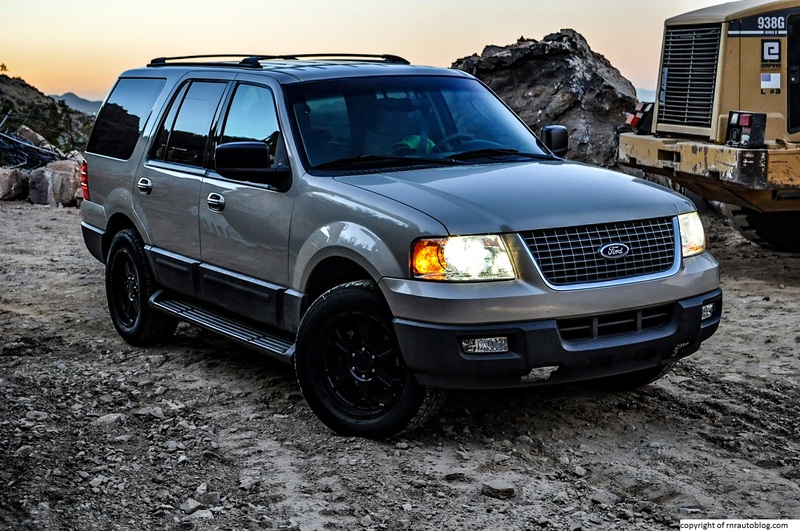 The Expedition’s success merited a luxury version for Ford’s luxury division, the Navigator, as well as an even larger SUV, the Excursion. 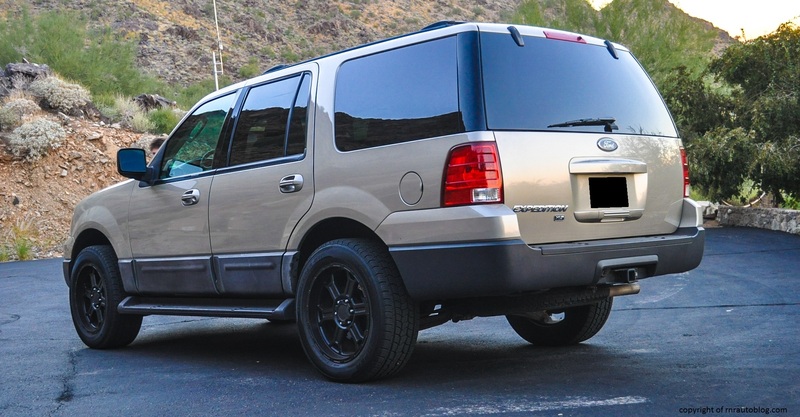 In 2003, the Expedition was redesigned, still based off the Ford F-150. 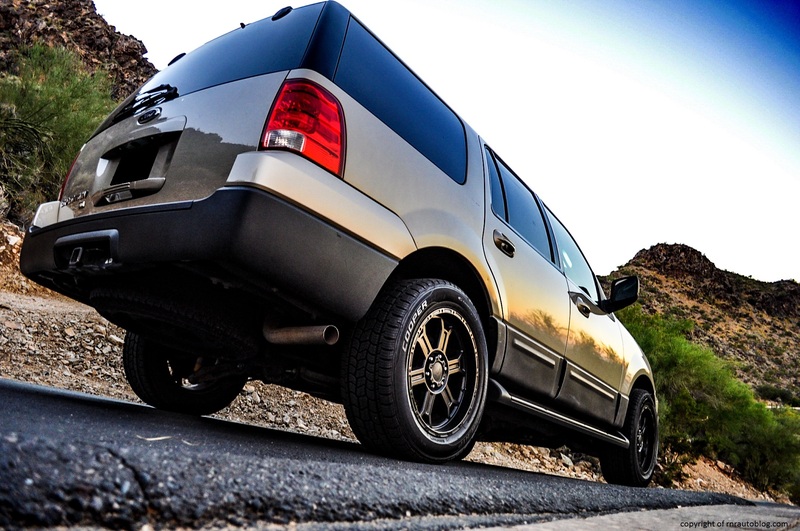 However, this generation was noticeable for being the first body on frame SUV (the chassis and the body are not connected together until the end of the production process) to utilize an independent rear suspension, a sophisticated suspension reserved for sedans. 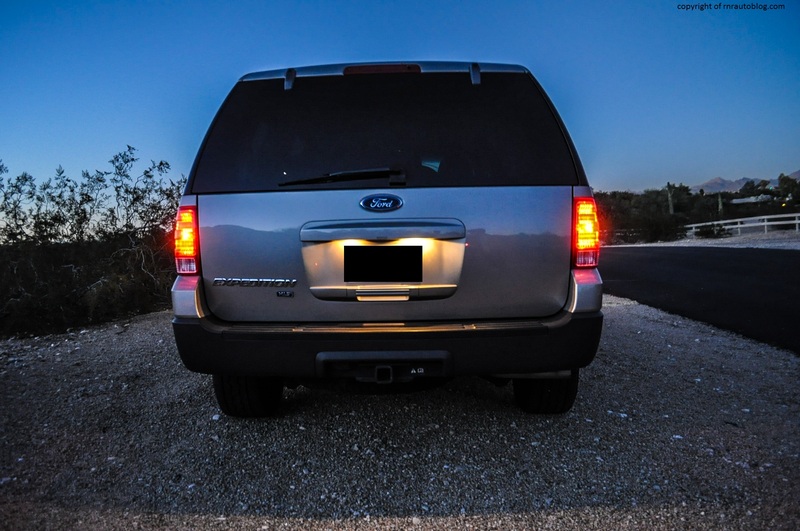 This move was criticized by some as it was thought that the IRS would hamper the Expedition’s towing abilities and off roading ability. Whereas the first Expedition felt like a truck with clumsy handling, jittery ride, and a loud interior, the second Expedition focused on a more comfortable driving experience as well as better interior accommodations. 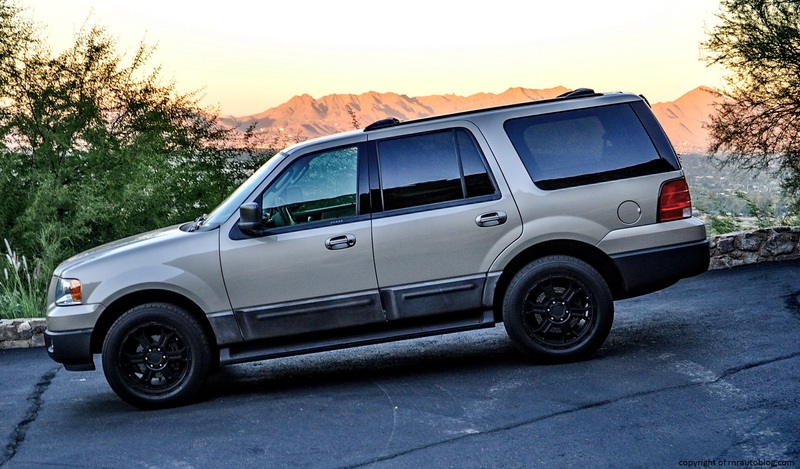 Even though it may have appeared macho a decade ago, the Expedition looks like an ordinary soccer mom SUV. The design is inoffensive, and it would not exactly stand out in a Costco parking lot. The front is carried over from the F-150, and it is rather handsome and simple as the large headlights and the grille clarify that this is a truck SUV. The boxy and tall greenhouse does not hide the Expedition’s size, and I do like the two tone paint job. The rear isn’t anything special with ordinary taillights. The interior is nothing to write home about either, but hey the Expedition is not meant to be stunning. Styling in and out is practical and functional. 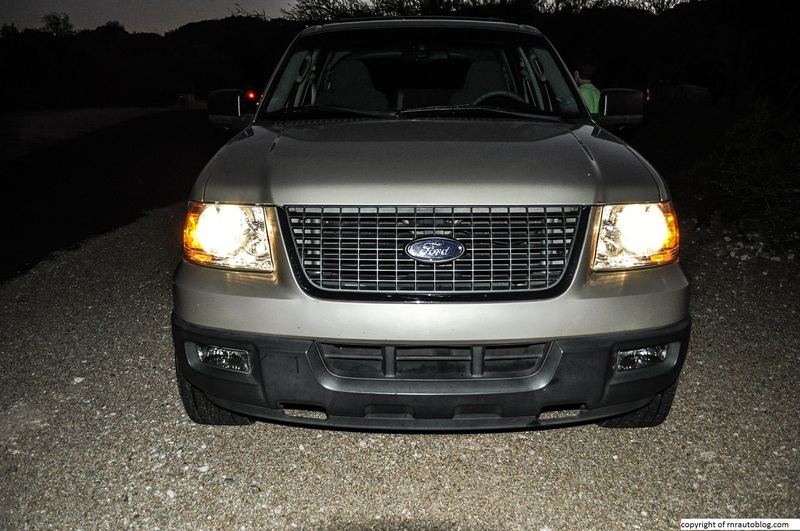 Considering the Expedition’s large size, I expected it to drive like a bus. 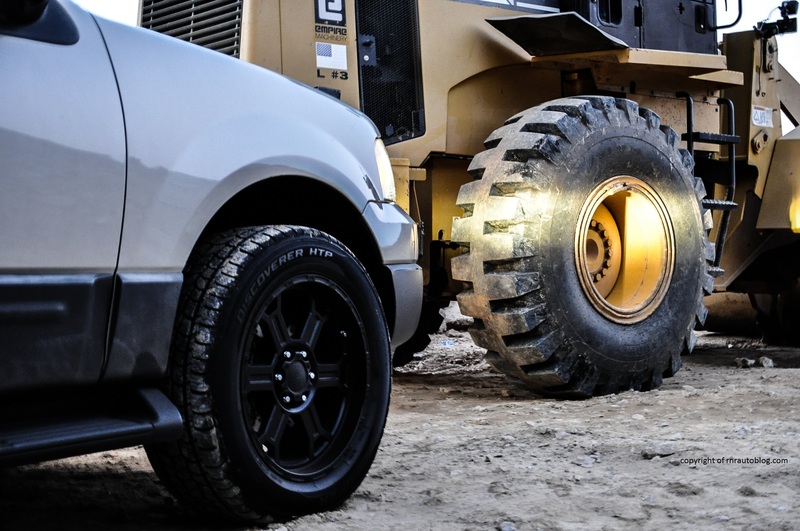 Usually with modern large SUVs and trucks, manufacturers try to aid the vehicle’s maneuverability by giving it light steering. You would think that would help, but the lightness actually makes it feel ponderous and ungainly. 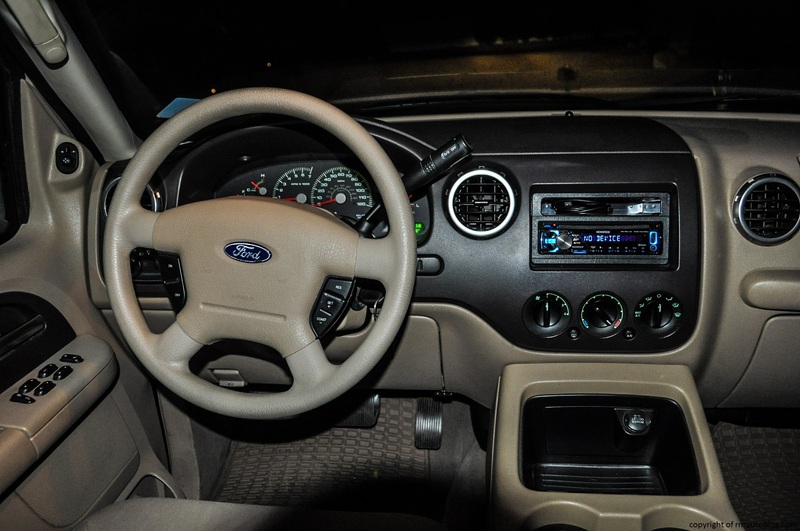 However, in the Expedition, the steering is pleasantly weighted as there is actual heft to it, and it feels connected to the car. The steering provides some feedback as well, and it is responsive for such a big car. Granted, I did not get that much time to drive this car, but I got the sense that it drove smaller than it is. It is not sporty in any way, but it did not drive like a truck. There is decent body control, and it turns relatively quick. However, for a family oriented SUV, the ride is stiff. It is not uncomfortably stiff, but I expected it to be more comfortable. At low speeds, it is somewhat jittery, but it smooths out at higher speeds. The structure offers impressive rigidity considering the car’s age. There are no squeaks, and even on the poorest roads, the structure remains rattle-free. In 2003 and 2004, two V8 engines were available, a standard 4.6 liter 232 horsepower engine or an optional 5.4 liter 260 horsepower engine. I don’t mean to sound like a horsepower freak but 232 horses in an SUV that weighs a little over two and a half tons? It is not terribly slow, but you definitely will wish for more power when merging or overtaking. There is decent grunt at low revs, but you still have to push the accelerator hard if you want some speed. The four speed automatic transmission shifts smoothly. In 2005, the 4.6 liter V8 was dropped, and the 5.4 became the sole option for the rest of this generation and gained 40 horsepower for a total output of 300 horsepower. If you are looking for fuel economy, this is the not the car for you. With the popular 5.4 liter V8, fuel economy is around 13 mpg. The 4.6 liter does considerably better with EPA ratings of 15 mpg city and 19 mpg highway. The cabin is very quiet except for the V8. Road and wind noise are pleasantly suppressed, but the V8 is boomy at any speeds, and it sounds grating when revved. Although the interior has a basic feel, the cabin fit and finish is par for the price (brand new). Although it is not of the highest quality, the cabin feels well assembled. 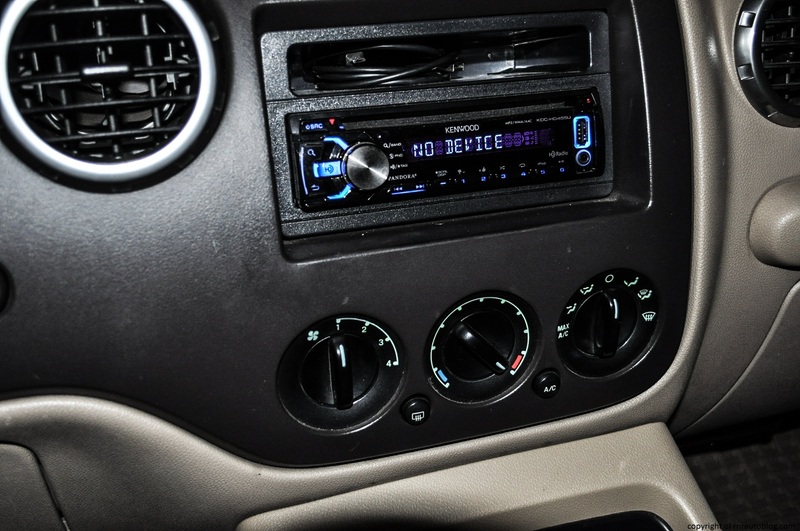 The intuitive controls, especially for the AC system are a breeze, and the knobs are easy to operate with gloves on. 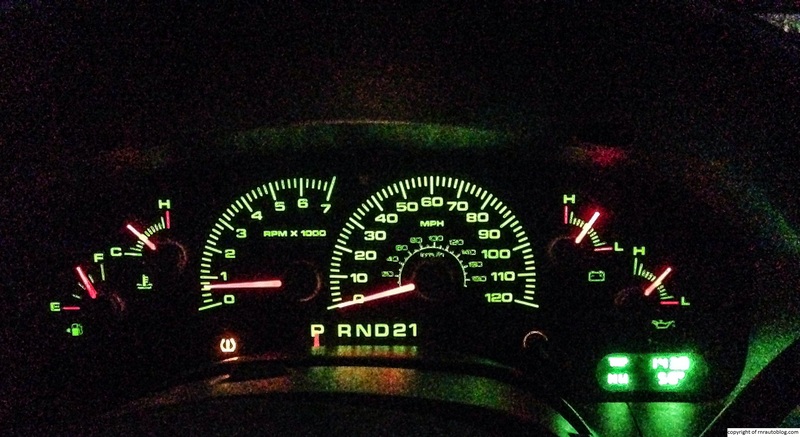 The gauges are a bit too crammed together, and the speeds in the speedometer are not spread out enough. You are reminded of the Expedition’s size in the interior a it is humongous inside, and it feels spacious. The space above your head is unbelievable, and it is roomy as well. The seats are cushy enough, and visibility is decent thanks to the large windows and slim pillars. One feature this Expedition has are power adjustable pedals. This feature makes finding a good driving position very easy, especially if you are short but do not want to adjust the seat and the steering wheel. 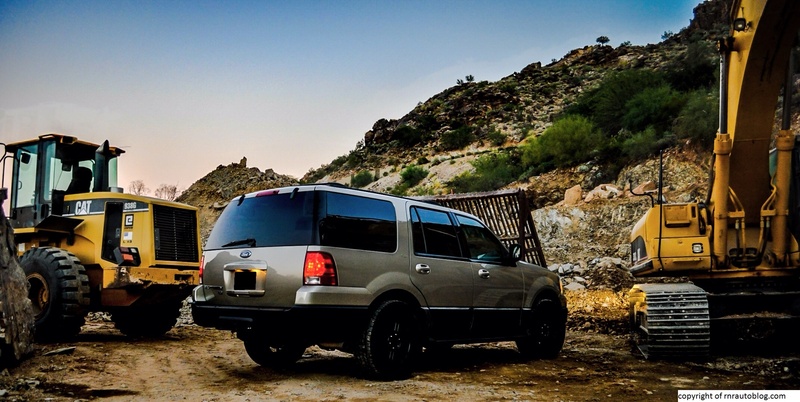 When you get your preferences sorted out, you feel right at home in the Expedition. The rear is spacious and can easily accommodate three adults. The third row actually has enough space for two adults to sit comfortably, and even with the third row seats up, there is plenty of cargo space. The SUV’s height does hamper access especially without the running boards, but cabin storage is abundant. Even though large American SUVs are not my thing at all…even if you ask me what large SUV I recommend, I will either say the Toyota Sequoia or recommend a smaller SUV. 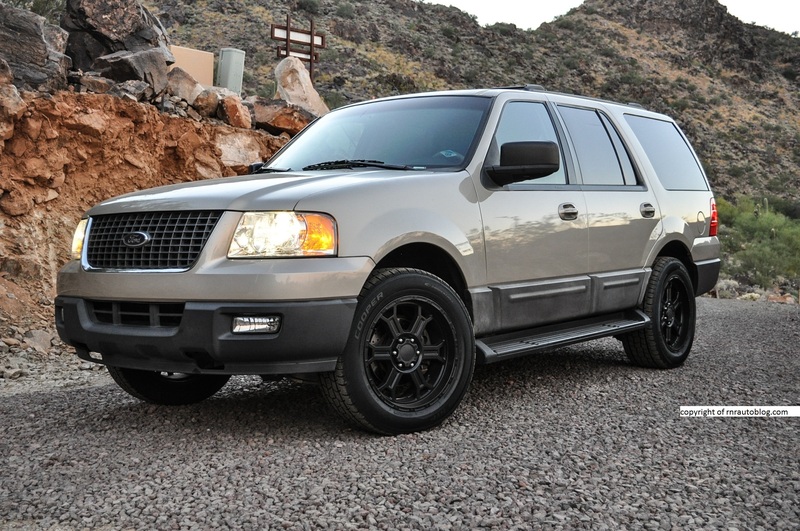 But I have to say, I am pleasantly surprised by the Expedition. It is huge, that’s for sure, but it drives surprisingly well for its size. The engine is a bit anemic, and fuel economy is not that great, but it was nice to feel like you are king of the road. 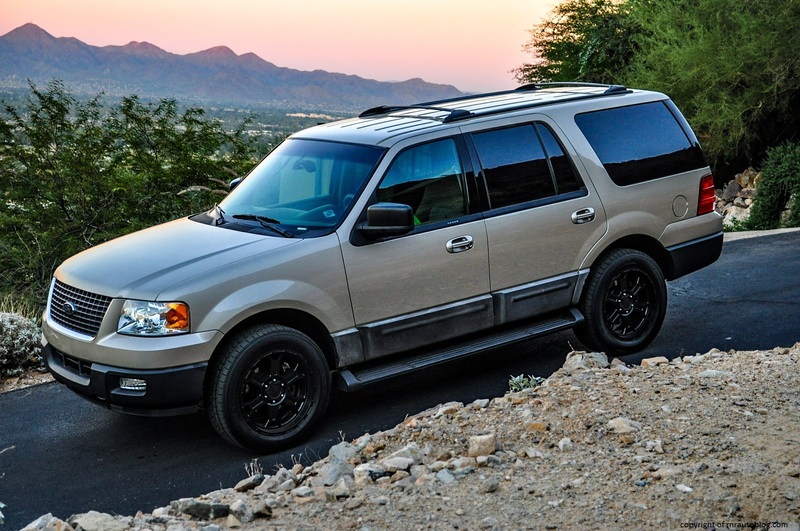 The Expedition is a sound contender if you need a big SUV for your family, but for me, it is bland. It doesn’t offer something the competition doesn’t have. The Nissan Armada/Infiniti QX56 (first gen) are actually fun to drive for a big SUV, the Toyota Sequoia has typical Toyota reliability and is powered by a 381 horsepower V8 (the latest generation), and the Chevrolet Tahoe/Surburban come with more engine choices and feature more options such as a Z71 off roading suspension and such. 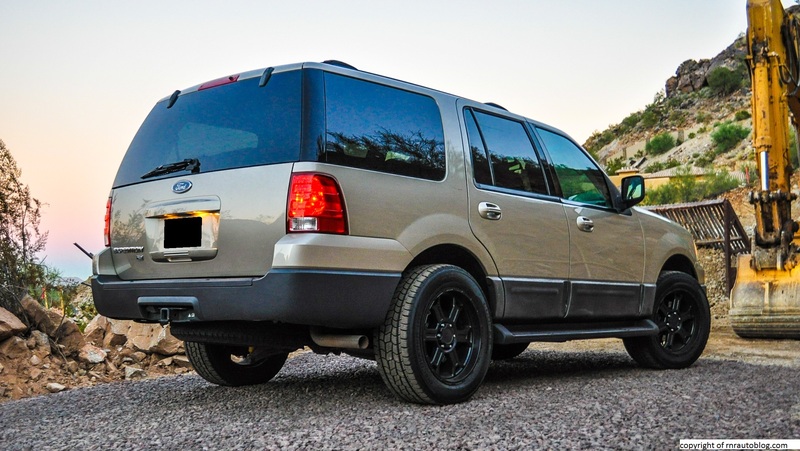 The Expedition is roomy inside, and it drives well, and you can actually put adults in the third row, but in the end, I still wouldn’t get one. It is simply too big for me. I am one of those drivers who tends to have impulsive moments sometimes. If I see a sharp right turn, there is a slight chance that I will turn hard just for fun. Being in a big SUV like this will mean I can’t have those moments anymore. 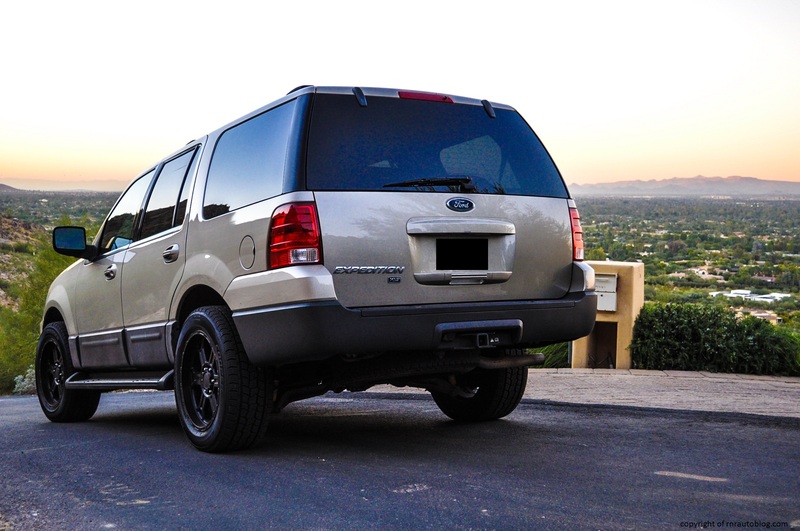 Like I said, the Expedition is a great large SUV, and if you are looking for a fullsize hauler to carry your family in comfort, look no further.